Figi's® Bounteous Buffet. A superb combination of ham, cheese and sausage. 2 kinds of ham. 10 cheeses. And 4 hearty smoked sausages. 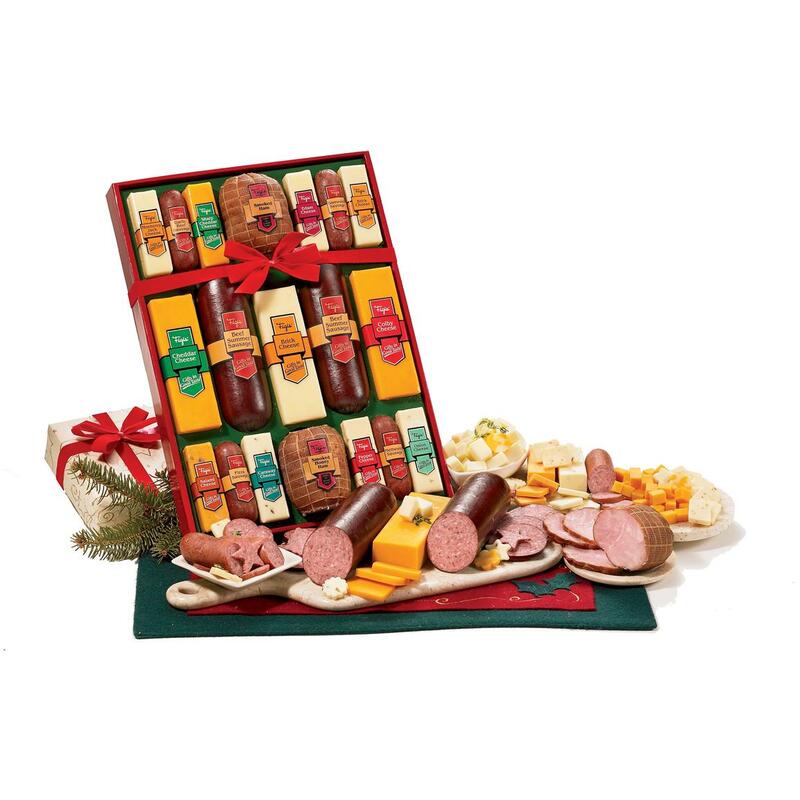 An impressive selection of smoked ham, honey ham, Grade A cheddar and 9 more quality cheeses... plus 4 sausages, including garlic, pizza, mettwurst and beerwurst summer sausage. 4 lbs., 15 ozs.